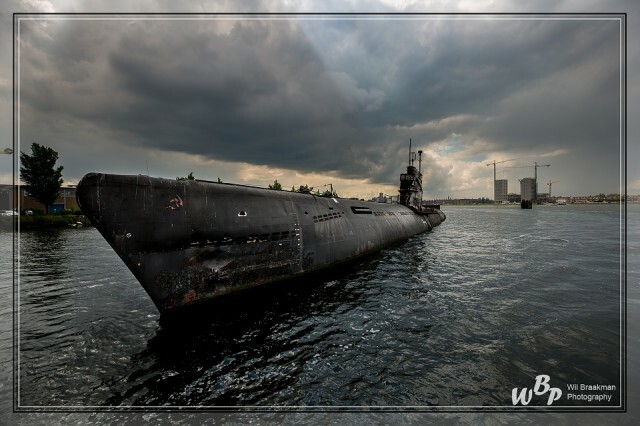 Russian submarine The Foxtrot B-80 in the NDSM port of Amsterdam. This 90-meter submarine was built in Riga in 1956. Since 2002 it is currently waiting for it to be demolished.